This is the first of a series of articles on the history of Jeyakanth and the LEFC (Lanka Evangelical Fellowship of Churches). It covers how he was saved and the dangers he encountered as he began to evangelise. 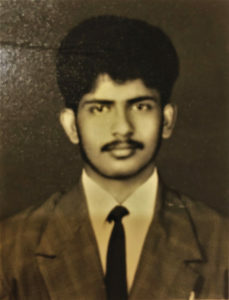 Born a Tamil in 1971, and raised in a Hindu family, Jeyakanth’s home had no electricity and one evening, while doing his homework outside under the street lights, a Christian witnessed to him. Despite his initial anger, the message affected him greatly and at the age of 14 he turned to Christ. Despite his youth he had great zeal and bravely told others about Christ. In 1987, aged just 16, he visited the Hindu villages near his home in Trincomalee to share the good news of Jesus. He was not deterred despite facing considerable opposition and danger from the ongoing civil war that raged in the area. The main village he visited was Thampalagamam, 20 miles from Trincomalee and home to a Telegu gypsy community. Theirs was a primitive way of life: living under the trees, making money from palm reading and fortune telling and speaking Telegu, an oral language spoken by only a few thousand in Sri Lanka. Jeyakanth learnt their language. At first, the gospel provoked strong opposition; some accused him of being a conman out to deceive them; there was even a poster campaign against him claiming he wanted their children’s eyes to sell abroad! A group of young men once came with sticks and metal whips to intimidate him; they pushed him around, saying they did not want Christians there and threatened to kill him if he returned. He was called for an interview with both the village leaders and the Tamil Tigers and warned not to preach anymore. As a result, Jeyakanth no longer preached in the open and instead met people in secret. His first convert was a Catholic medical doctor who subsequently offered his home as a place from which to conduct the ministry. Opposition to Jeyakanth was so strong that some villagers secretly planned to kill him. However, God protected him. Despite receiving further warnings from the local government officers, he carried on witnessing for Christ. 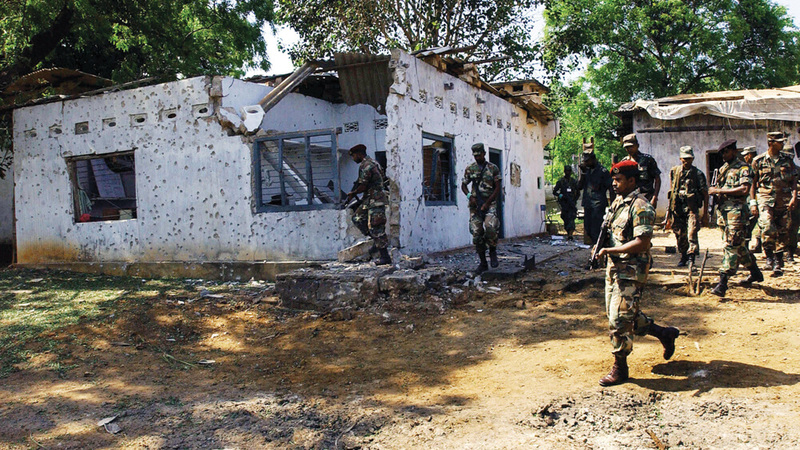 There was an ongoing civil war in Sri Lanka which lasted from 1982 to 2009. It was between the majority government backed Sinhalese and the minority Tamils, who wanted independence. Thampalagamam was a Tamil Tiger controlled area and in 1990 when the civil war erupted again the village was destroyed. Most of the villagers hid from the government forces in the jungle; the fledgling church being built up in the doctor’s home, came to an abrupt end. Jeyakanth found himself homeless. Caught between the warring factions, with the Hindu villagers and Tamil Tigers who opposed his work on one side and the government forces on the other, he felt exposed, vulnerable and fearful for his life, but God faithfully provided for him: the same Christian doctor who had been his first convert found him a place to stay in a nearby Muslim village. During this time, Jeyakanth visited many people in the jungle, where he found he was able to witness freely without opposition. In their desperation and fear people were very open to the gospel and many were converted. A few weeks later, the local Muslims spread rumours that he was a Tamil Tiger. It was a fearsome situation, as he knew that the government would come looking for him. Jeyakanth went into hiding in a small cellar beneath the doctor’s house and only came out briefly at night. After spending two weeks alone in the cellar, Jeyakanth heard an audible voice which he knew was from God: ‘Don’t be afraid, I am with you, I will send an angel before you’. He felt his fear disappear and God strengthening him. Emerging from the cellar, he told the doctor he was going to the army camp. Knowing they would find him sooner or later, he thought it better to go to them and hope they would show him mercy. Cycling down the streets to the army camp, along a road littered with dead bodies being eaten by wild dogs and crows, Jeyakanth felt his whole body shaking and began to cry. By God’s amazing providence, the army commander happened to be coming out of the camp as Jeyakanth cycled in. Under normal circumstances there was no prospect of a young Hindu man having a meeting with the commander. He stopped Jeyakanth and asked him who he was. Jeyakanth explained he was a Christian pastor and preacher trying to help the people in Thampalagamam. He could not return to his home in Trincomalee because of the war and was afraid to go back to the house in Thampalagamam to collect the things he had left behind. The commander gave him permission to return to get his belongings. As he made his way back, unbeknown to him, the commander secretly followed from a distance using binoculars. Jeyakanth had no idea why he would do this. At this point the army commander appeared and approached the group. Having witnessed the whole exchange, he was very angry with them, accusing them of giving the government a bad reputation. He ordered his soldiers to beat them up and warned what would happen if they looted the village. The commander turned to Jeyakanth, calling him ‘Father’, a term used for any Christian leader. He told him to collect his possessions and then return to the army camp. This frightened Jeyakanth, as being taken to the army camp usually meant you would be killed. But with his options exhausted and nowhere else to escape to, he picked up his things and headed for the camp.